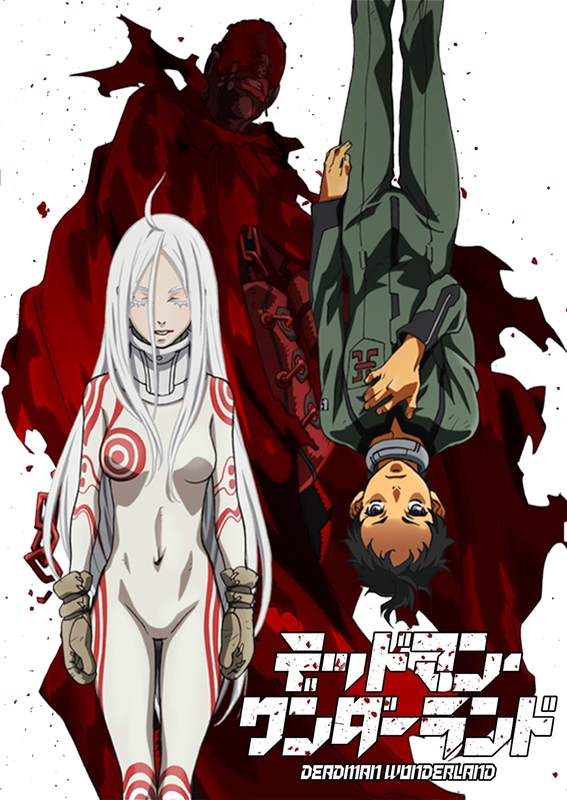 Deadman Wonderland first aired in 2011 and is based on the manga written by Jinsei Kataoka. The main story focuses on Ganta, a timid middle school student with a small group of friends. Then one day while Ganta is conversing with his friends, the red man, a strange figure clad in crimson apparel covered in blood, attacks, massacring Ganta’s entire class and implanting a red shard into Ganta’s chest. As the only survivor and prime suspect, Ganta is sentenced to death in Deadman Wonderland a prison which also serves as a theme park of the general public. Upon arrival at the prison, Ganta and other new prisoners are fitted with collars that monitor their actions and inject a lethal poison into their blood stream. The poison can only be combated with a strange form of candy that must be consumed every three days. Ganta must now survive in the vicious prison environment in order to prove his innocence and discover the truth about the Red Man. My Review: This is one hell of a anime. Right from the get go you are thrown into a strange world full of mysteries to solve. The first few minutes of the first episode put you in a state of dismay that never seems to end. The character design is spectacular with interesting character littered throughout, with (in my opinion) the exception of the main character, who, to me seemed like a total wimp. The weapons each character uses are greatly unique which allows for some memorable fights. The story itself seems to happen at a seemingly slow pace which is why it’s a shame that Deadman Wonderland was not renewed for a second season. This means that we are left with quite a few question left to be answered. And if the show wasn’t cool enough already it has a kickass opening song .